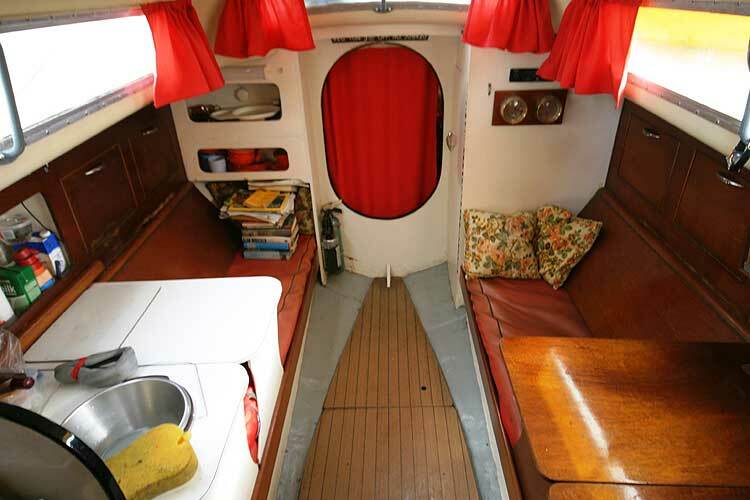 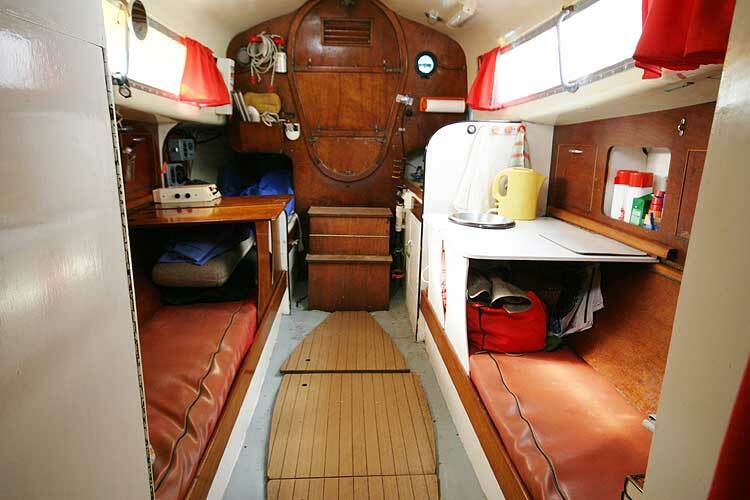 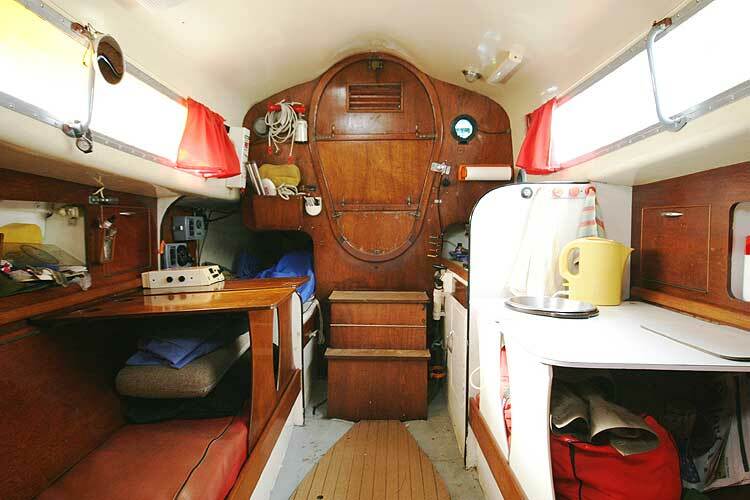 A sturdy yacht designed by Van de Stadt, she has been in the present ownership for 32 years. She is offered for sale due to ill health. 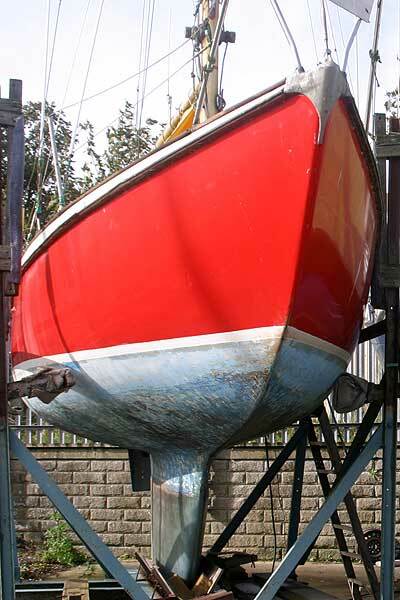 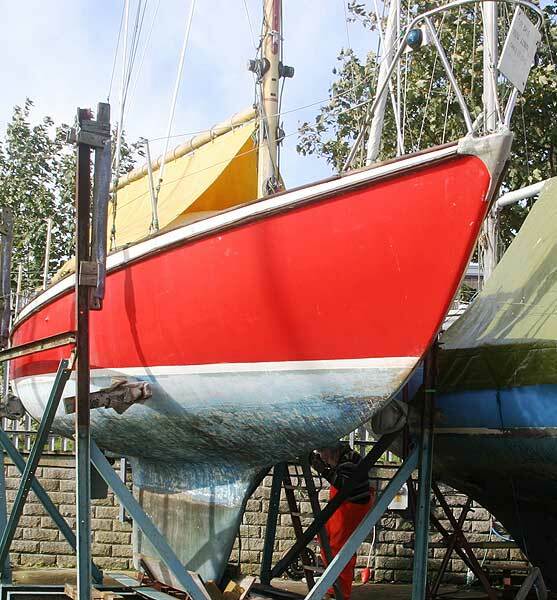 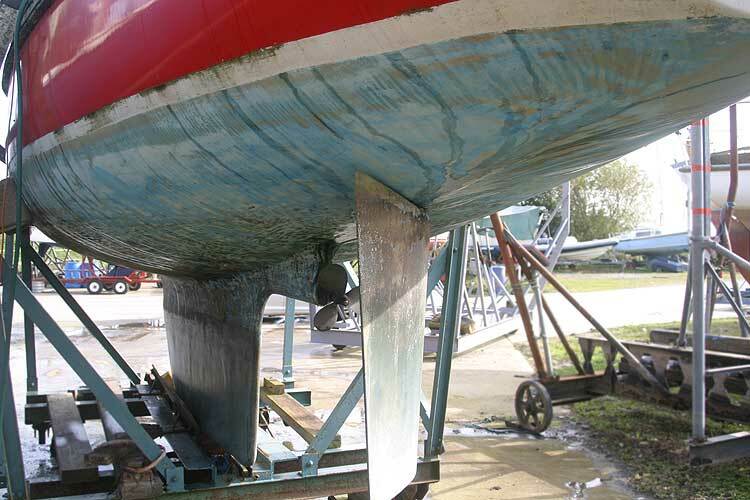 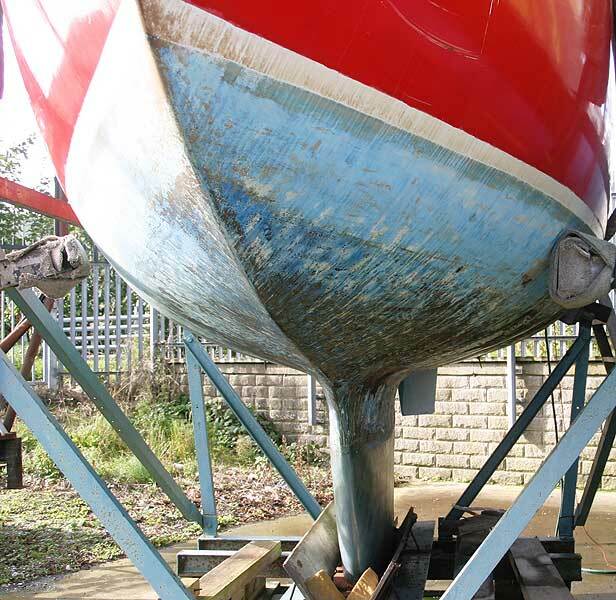 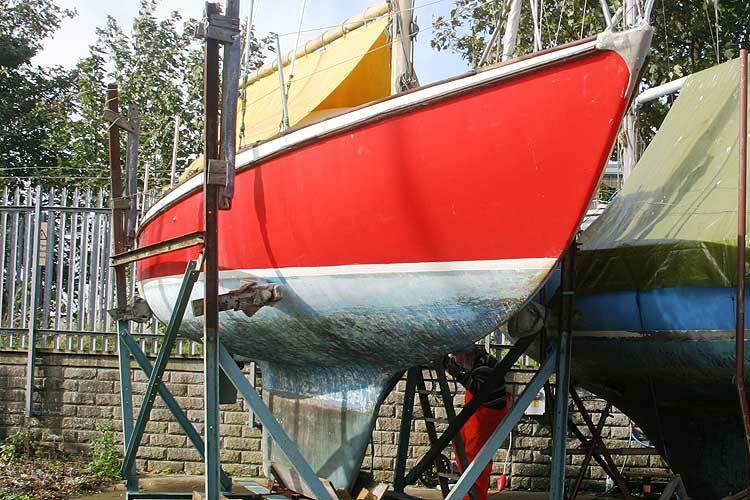 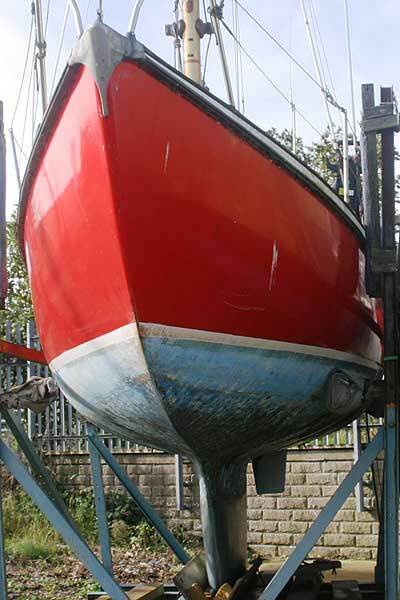 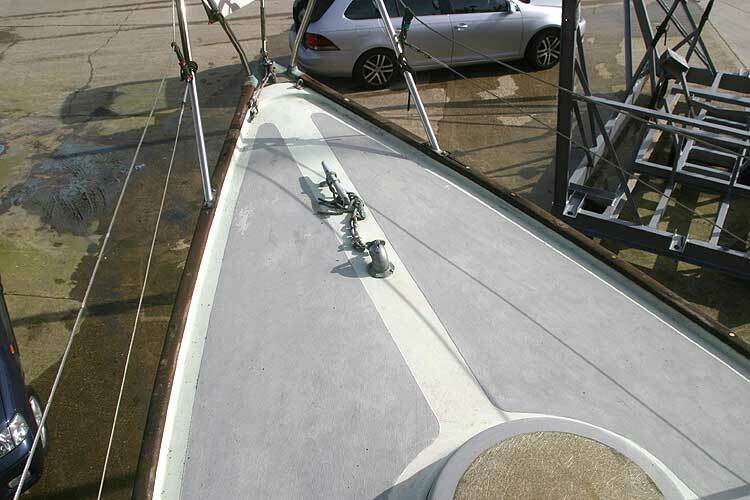 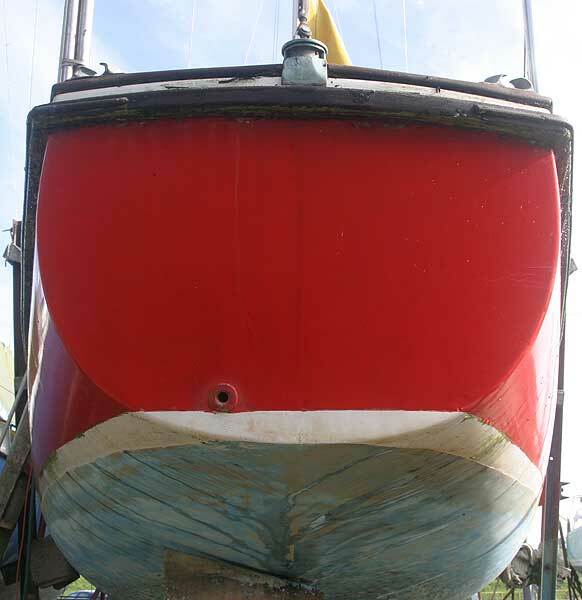 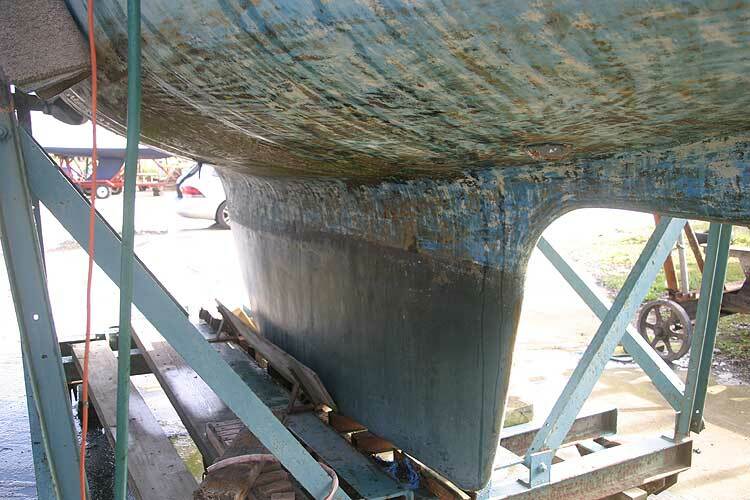 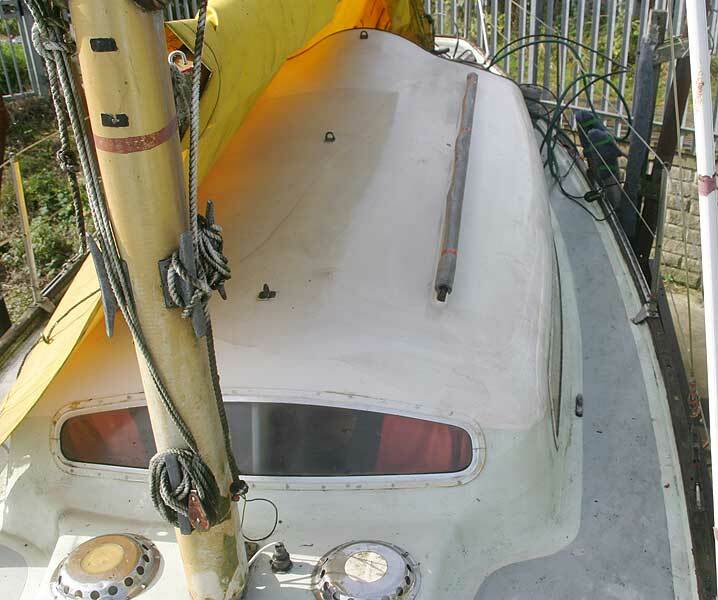 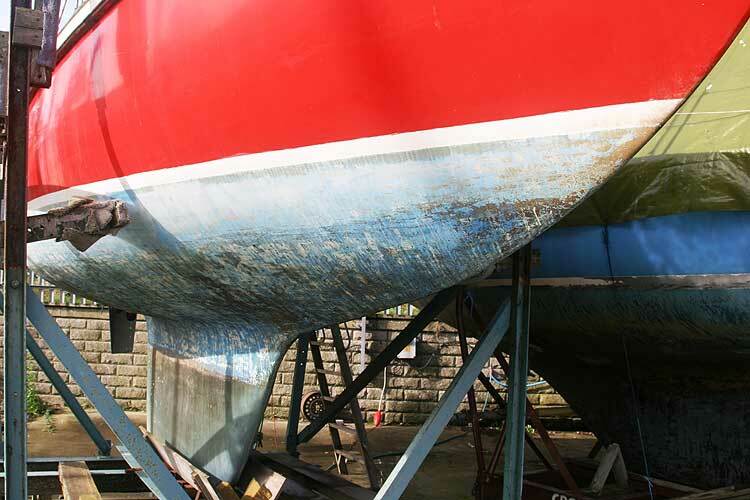 The hull has been treated for osmosis,which involved removal of the keel,all gel coat from waterline to keel level removed and replaced followed by two coats of primer and nine coats of epoxy.The keel was then replaced and glassed in. 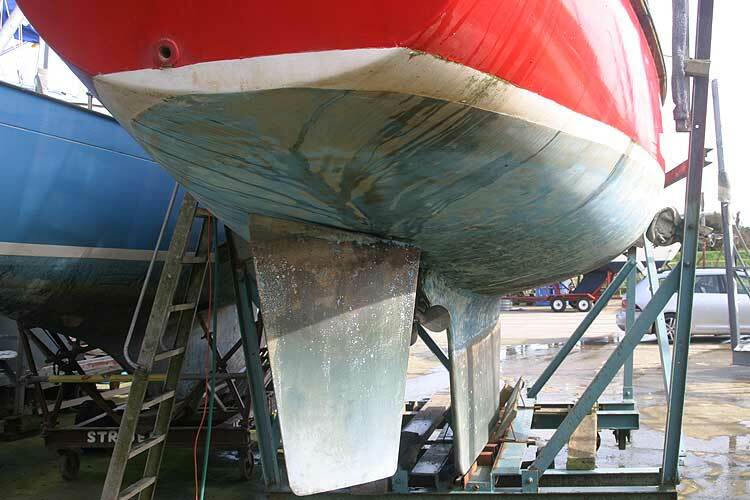 The hull has had additional stiffening added and has a set of beaching legs available allowing her to take the ground easily. 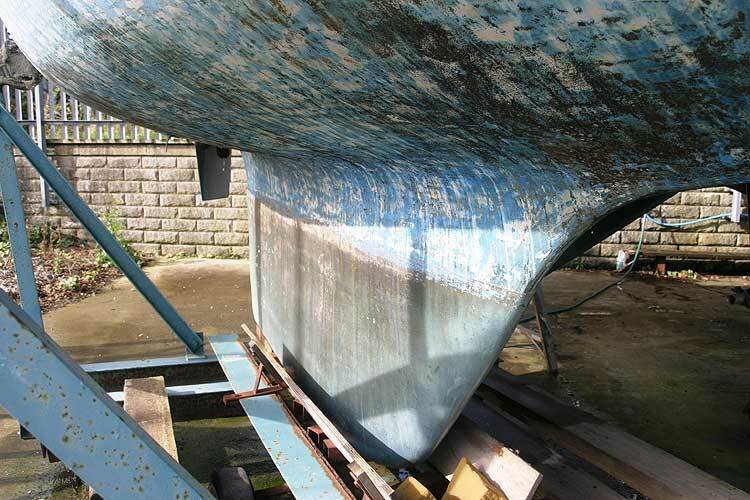 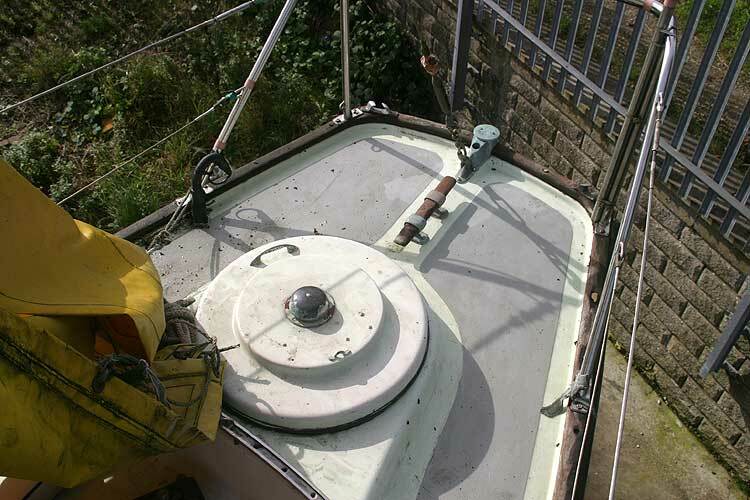 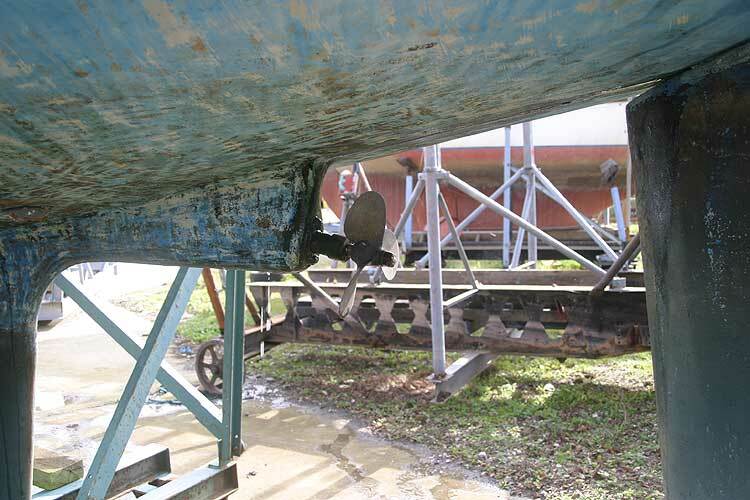 The vessel has been stored ashore for three years and would benefit from a make over by an enthusiastic owner. 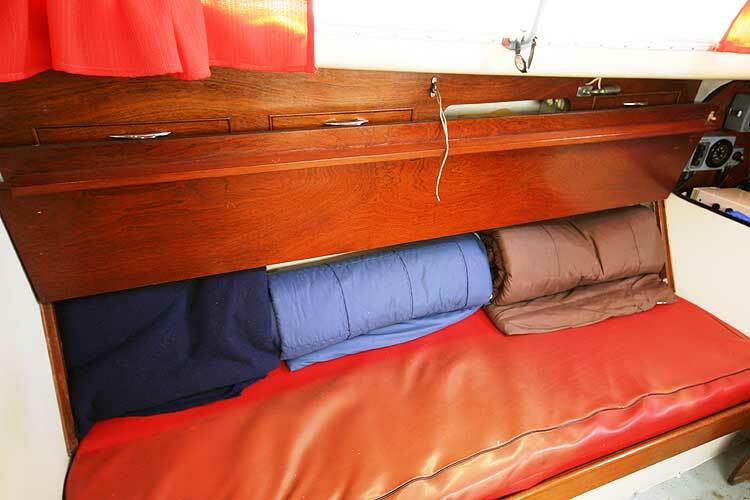 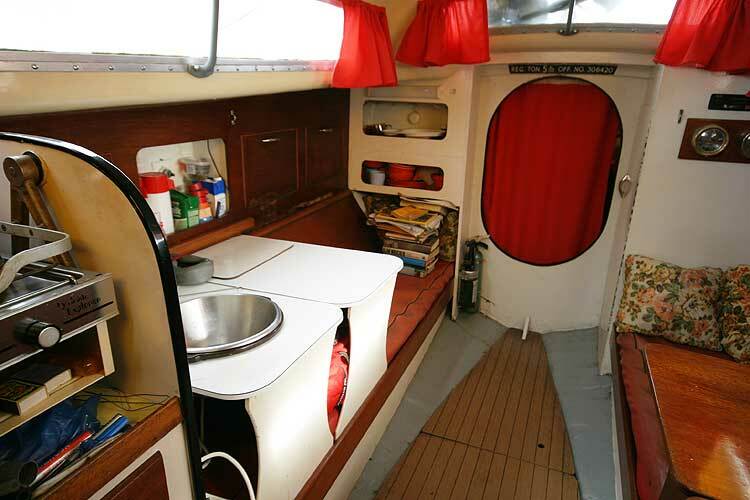 A total of 5 berths are available with two in the for cabin and two saloon berths and a quarter berth. 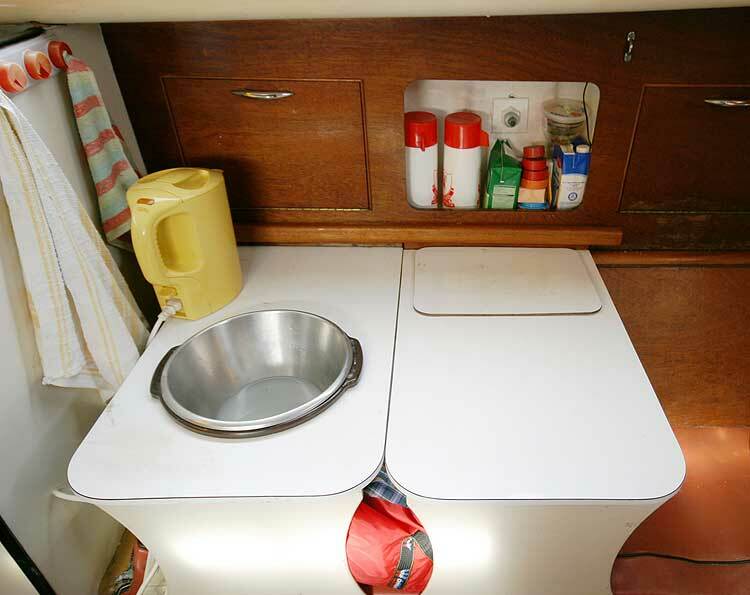 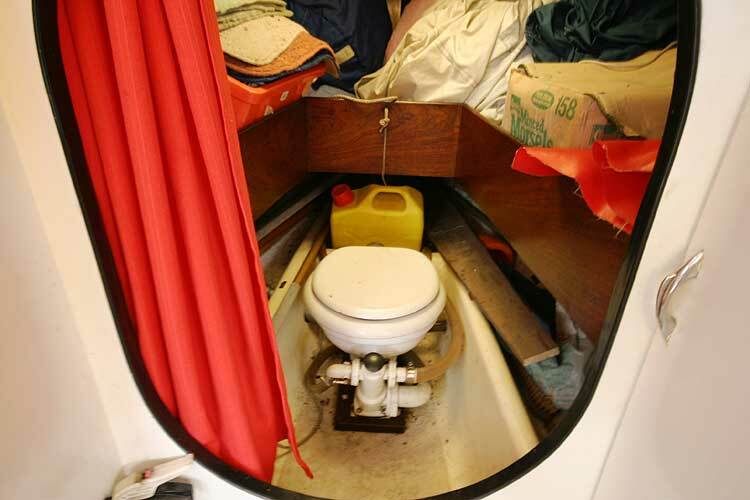 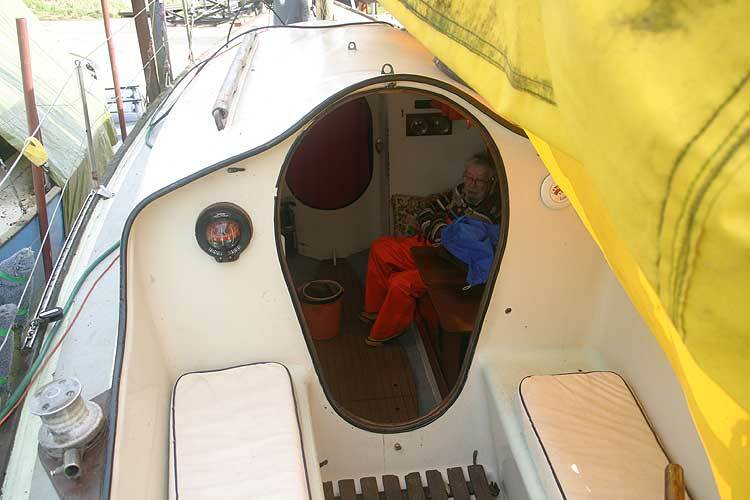 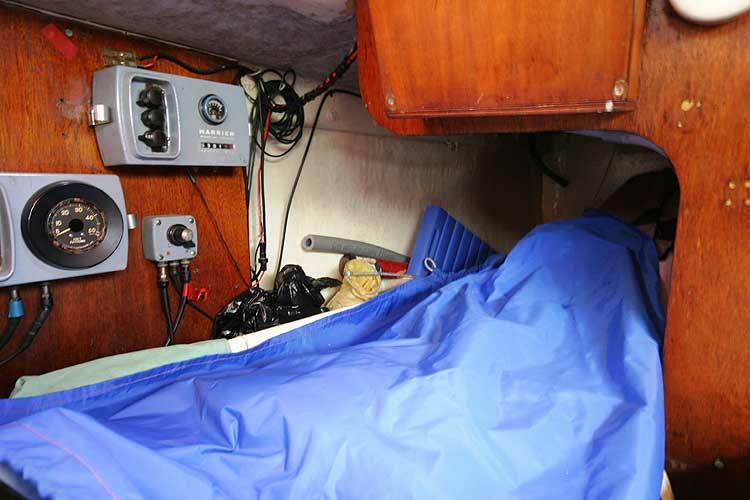 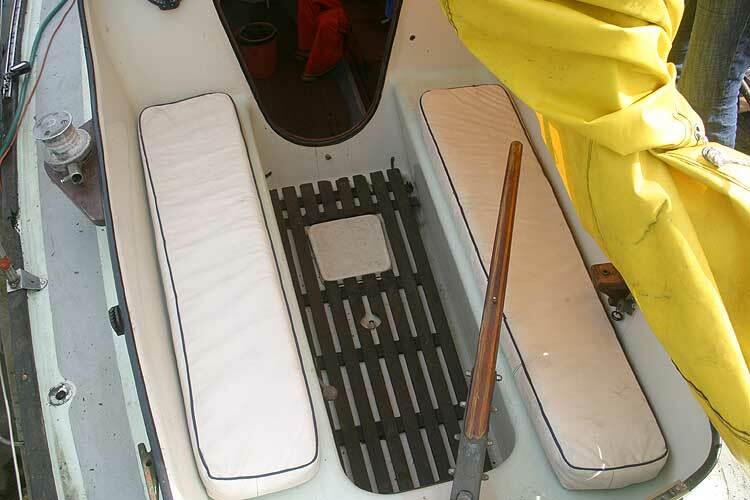 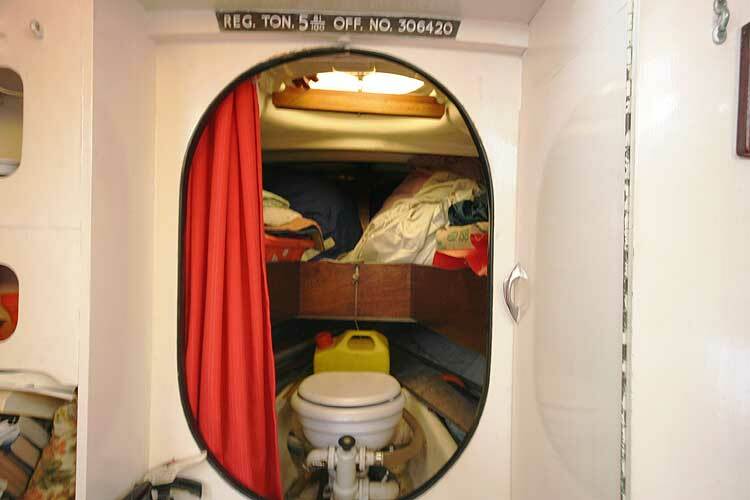 The sea toilet is located in between the forward berths. 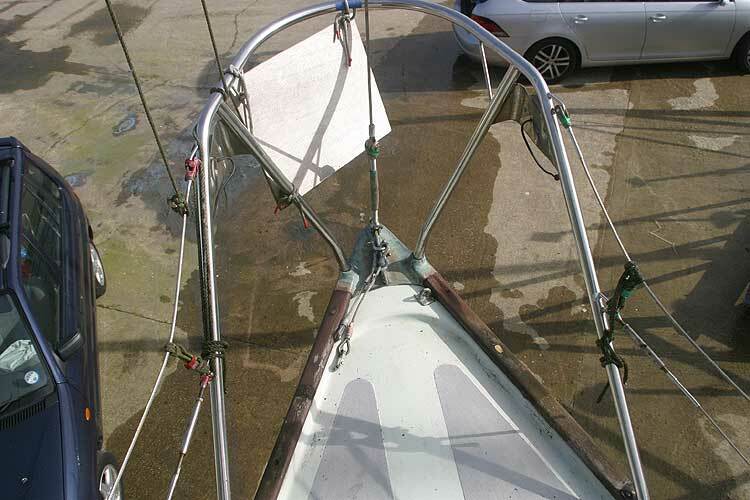 A total of eleven sails including a new mainsail used only twice.Other sails include a spitfire jib (unused),2x storm jibs,2x jibs, 2xgenoas,a blooper, 2nd main and a spinnnaker. 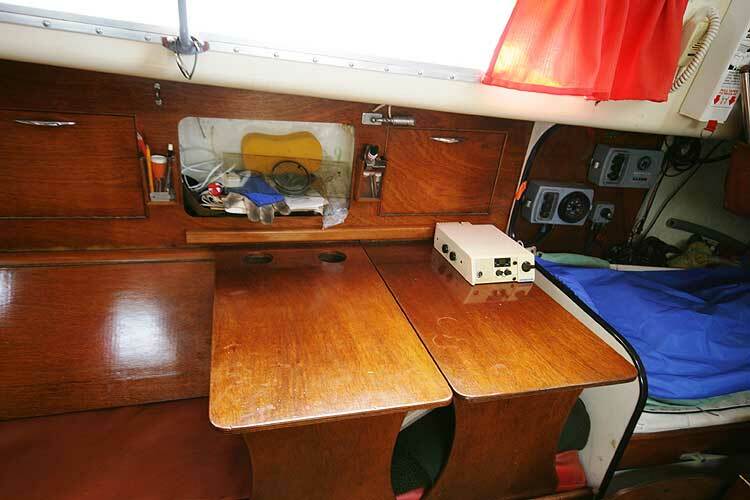 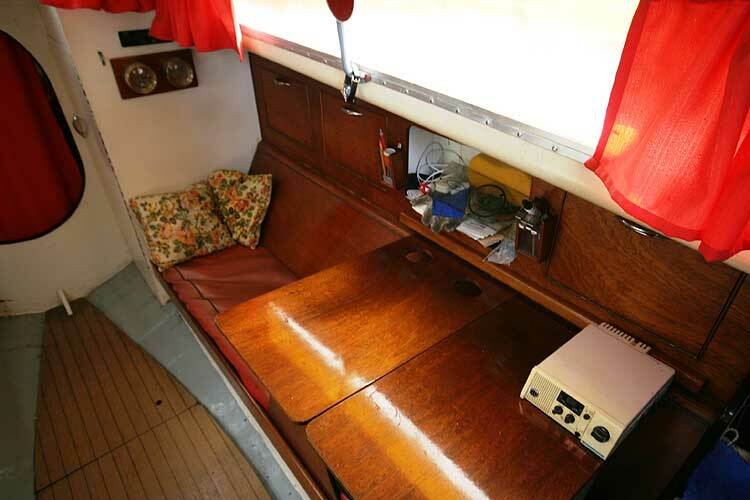 Brooks and gatehouse log and echo sounder,VHF radio.Auto helm. 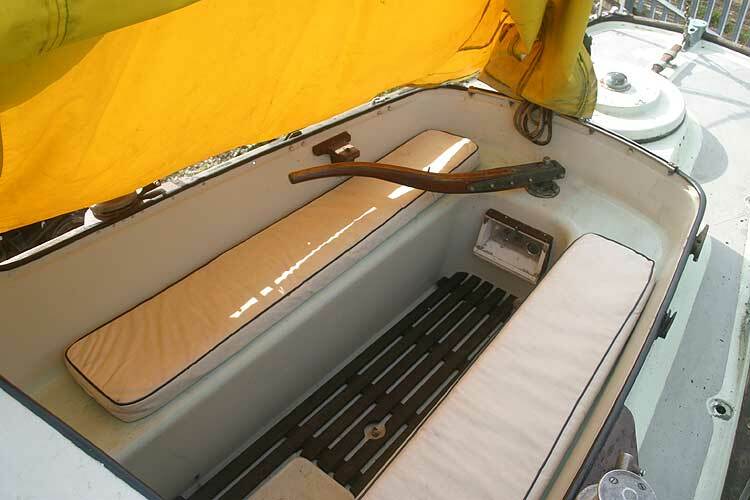 A tender, life jackets,warps and fenders, safety harnesses, boat hook, ensign. 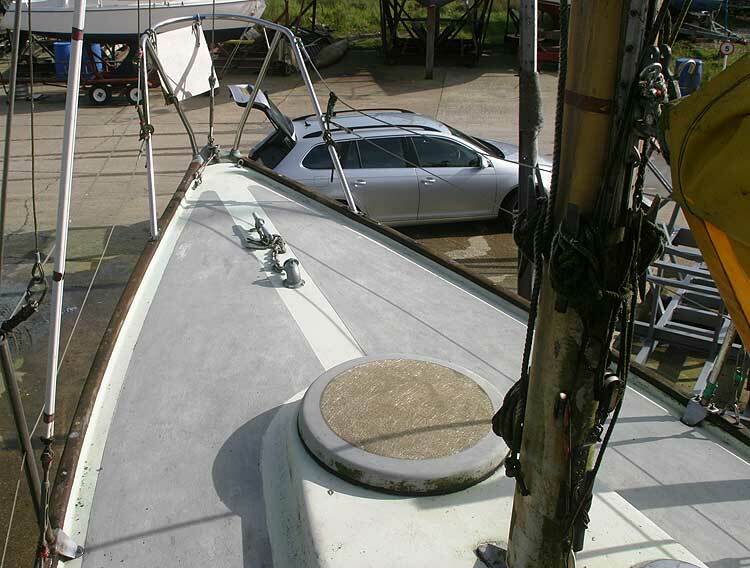 three anchors and 150 feet of warp and 60 feet of chain. 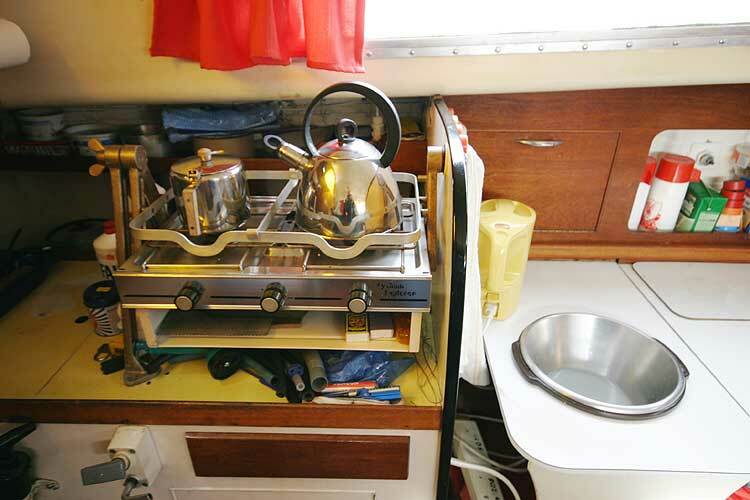 A new Mediterranean awning is included,also a steel cradle and launching trolley. 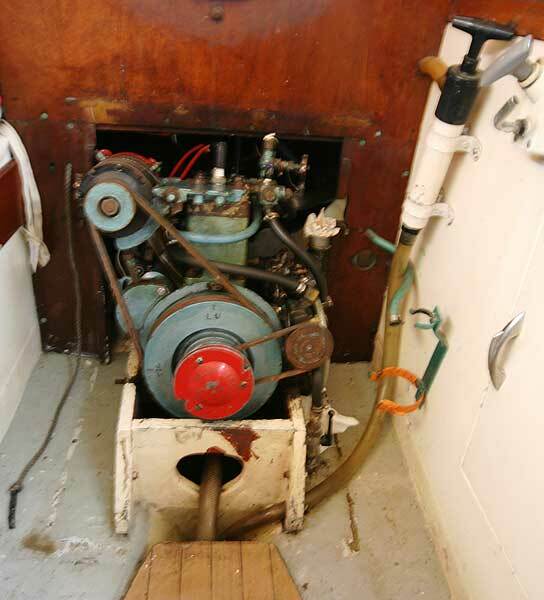 A spare engine, some engine spares and gear box also.